Rats vs. Mice, What’s the Difference? Mice or Rat? 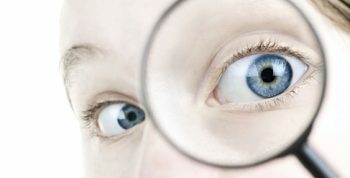 How to Know? 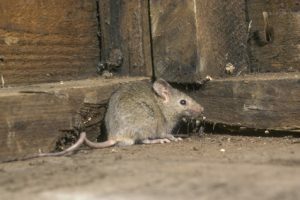 Mice and rats are among the most common types of pests that invade homes in NJ. In fact, these rodents keep pest control companies in Freehold busy, especially when it’s cold outside. You might find rats or mice in your home during winter, since they like to stay where it’s warm. This means that it’s important to know the differences between these two pests. • Size: Rats are much larger than mice. Some adults have a body length as long as 9 to 11 inches and a tail length of 7 to 9 inches. Adults can also weigh up to 10 times more than mice. • Tails: Rats have thick, bare tails that are typically shorter than their body length. • Head: Rats have larger muzzles that have a more rounded appearance. Their ears are small compared to the size of their head. • Size: Adult mice are smaller, with body length between 3 and 4 inches long. They also weigh a lot less than rats. • Tails: Mice have thinner tails that are longer than their bodies. • Head: Mice have more pointed muzzles and larger ears than rats. 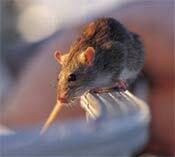 Whether you have rats or mice, it’s time to have your pest control companies in Freehold help you out. Contact Allison Pest Control for safe and effective rodent removal. Rats Can Spread Disease and Cause Damage to Your Home. After years of declines in the rat populations of major cities, it seems rodents are starting to make a comeback in a big way. Our team at Allison Pest Control has seen what rats can do first-hand and we know what needs to be done to take care of the problem. What Causes a Population Explosion? Rodents are notoriously fast breeders, with rats being able to get pregnant about five weeks after they’re born. In addition, litter sizes can easily reach a dozen or more. Cold weather tends to decrease fertility rates and helps keep rodent populations in check. Over the past few years, warmer weather has been experienced earlier in the year than normal, and it has stayed warm a little longer than normal. How to Eliminate a Rat Infestation. Professional exterminators can take care of a rat infestation within a home or business with traps, bait and repellents. Once they have been eliminated, home and business owners should take a few precautions to keep them from coming back. The best thing you can do is to keep your food stored securely. If rats and other rodents cannot eat in your home, they will not bother sticking around or breeding. If you have a rat problem in your home or business, feel free to give Allison Pest Control a call at 1-800-564-4585 or use the contact form on our website to discuss your options. Will You Still Think Them Cute When You Catch a Disease from Them? 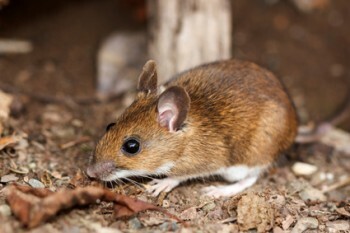 To some, mice might seem like adorable little critters that won’t do much harm in your home, but there’s a reason why homeowners seek NJ mouse control services. These small rodents can cause a number of problems. The sooner you deal with a mouse infestation, the lower your risk is of having these problems. Mice carry infectious diseases that can make you and your family sick. Some of the diseases they spread include listeria and salmonellosis. Their urine and droppings can also trigger allergic reactions and even raise the risk of asthma in kids. Mice often chew on wires inside the walls of your home as they go about making their nest and running around looking for food. This can create a fire hazard when the insulation becomes broken and frayed. Mice can also ruin other parts of your home by chewing through wall insulation and wallboards. Mice have many ways of getting into the food you keep in your cupboards and pantry. They can chew through boxes and get inside bags, making it necessary for you to throw out your food supplies. Store food in airtight containers that mice can’t get into, and keep crumbs and garbage out of your kitchen. Don’t let these cute critters fool you into thinking they’re harmless. 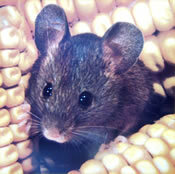 Contact Allison Pest Control for safe and effective NJ mouse control for your home. House mice are small, but they can turn into big problems when they make their way inside your home. These mice carry other pests, such as ticks and mites, and cause damage to your home by chewing on wires and wood. They can also get into your food supplies and contaminate them. Seal up holes that mice can use to gain access to and from your home. Keep in mind that they’re tiny and can fit through very small openings. Make it hard for mice to nest in your home by keeping storage boxes off of the floor where they can easily get inside. Make sure you have adequate drainage near your home’s foundation to prevent water damage. This kind of damage can result in weak areas where mice can get into your home. Watch for signs of house mice, such as droppings, marks on surfaces from chewing or gnawing and food packages that have been chewed open. If you’ve seen any signs of mice in or around your home, our Monmouth County pest control company can help. Contact Allison Pest Control, and we’ll help you get rid of your mouse problem as safely as possible.